In 2009, Raines and Woolfson published their influential paper on the concept of n-to-pi* interaction in proteins (http://www.nature.com/nchembio/journal/v6/n8/full/nchembio.406.html). 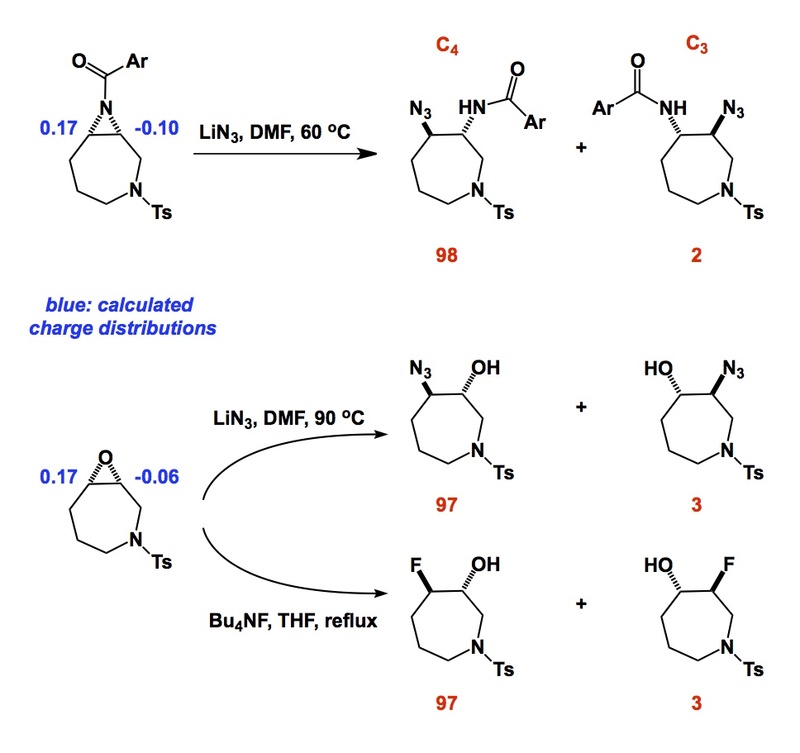 By analyzing the protein databank they came to the conclusion that there exists a previously unappreciated attractive interaction between backbone amides. This interaction arises from the delocalization of a lone pair of electrons (n) from an oxygen atom to the antibonding orbital (pi*) of the subsequent carbonyl group. For synthetic organic chemists this sort of interaction makes sense. Who can forget the Burgi-Dunitz trajectory of attack? However, it has gone under the radar of structural biologists, which is somewhat surprising (or not). Given the significance of this interaction, there is a push to adjust parametrization of many molecular modeling packages. There are many other implications, but what about peptide reactivity? I can think of one cool example. 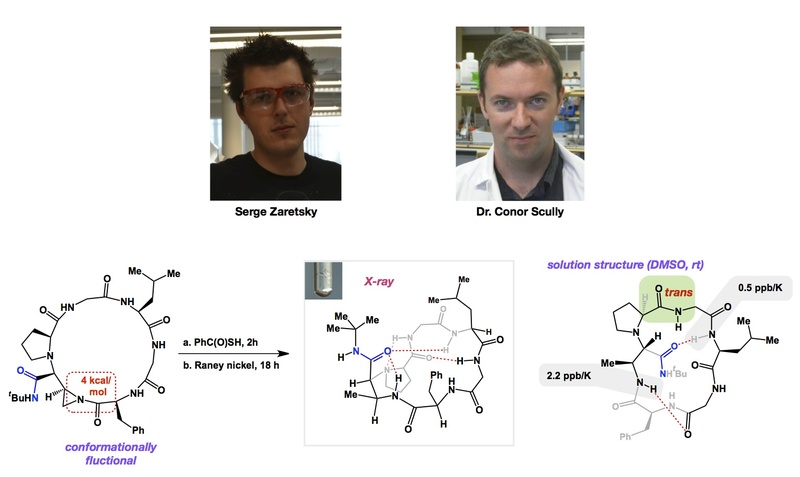 It comes from Kent and co-workers, who published an interesting Chem Comm paper not too long ago (http://pubs.rsc.org/en/content/articlehtml/2011/cc/c0cc04120c). 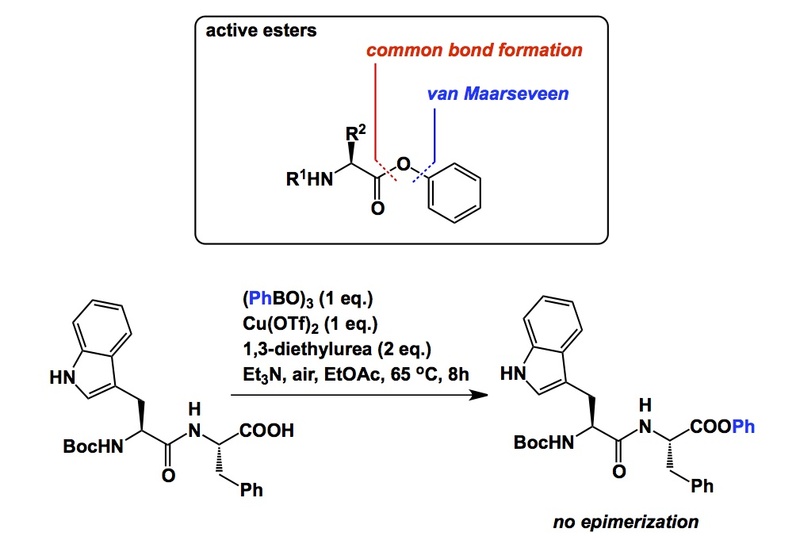 In it, the authors explain the relatively low reactivity of prolyl thioesters in native chemical ligation. According to Kent, the n-to-pi* interaction is playing a role in diminishing the electrophilicity of the thioester. I have been in the UK for the past couple of days, visiting the SGC site at Oxford University. Paul Brennan has been my host here (http://www.ndm.ox.ac.uk/principal-investigators/researcher/paul-brennan). I thoroughly enjoyed my visit because I have got to interact with Paul and his group as well as a number of other PIs at the SGC. Paul showed me some of his recent science pertaining to the development of bromodomain inhibitors. Bromodomains are protein interaction modules that recognize ε-N-lysine acetylation motifs. I already mentioned them when I talked about isoxazoles. By the way, the name “bromodomain” has nothing to do with bromine. There are no bromine atoms in this protein, or nowhere close for that matter. Instead, the name appears to be related to the brahma (brm) gene, which is required for the activation of multiple homeotic genes in Drosophila. Don’t ask me how “brahma” became “bromo” as I do not think anyone has a clue. In terms of bromodomain inhibitors, there is an interesting story that has developed here in Oxford over the past year or so. 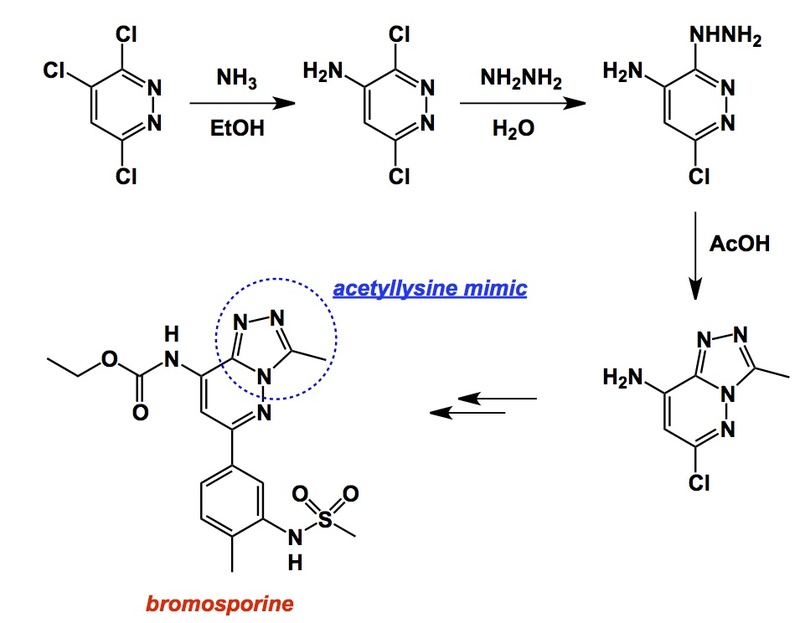 Paul’s group has designed the so-called bromosporine (another interesting name… think about cyclosporine and staurosporine…). You can read about it at the following link: http://www.thesgc.org/scientists/chemical_probes/bromosporine. The strength of this molecule is in its promiscuity, which offers an interesting lesson to all of us. Promiscuous inhibitors such as bromosporine are invaluable in assay development due to their broad-spectrum mode of action. Indeed, when you have lemons – you make lemonade! Bromosporine is a potent inhibitor of a range of bromodomain proteins. Consistent with SGC’s mantra, bromosporine has been released to the public and can now be purchased from a number of commercial sources. When I saw Paul’s nice synthesis of this molecule, it reminded me about the virtues of nucleophilic aromatic substitution. 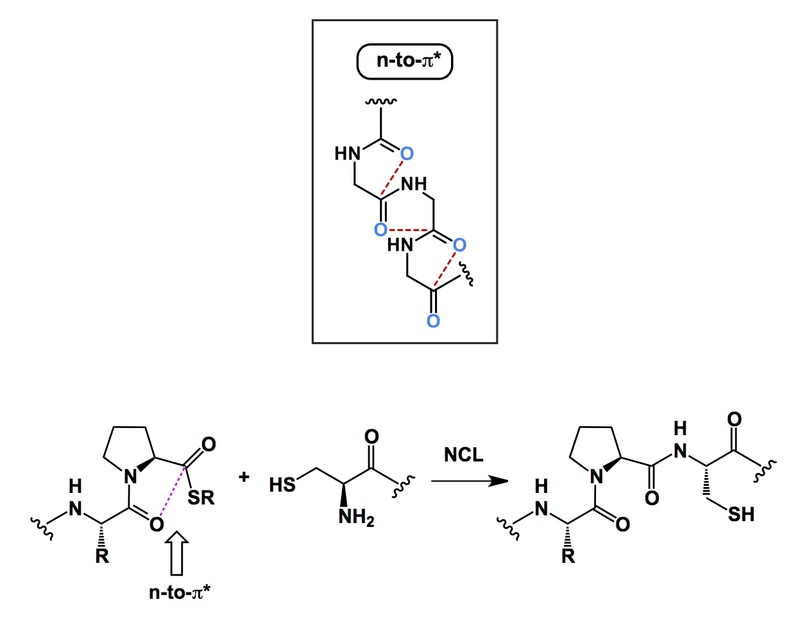 In the old days, pyridiazine was the workhorse of many ligand syntheses in the Sharpless lab. In Paul’s case, substituted trichloropyridazine is the starting electrophile that is subjected to treatment with hydrazine, which is followed by heterocycle formation using acetic acid. It is instructive to ponder about the regioselectivity of the first and second steps (which gives me an idea for a good cumulative exam question). Incidentally, it is the 5-membered heterocycle unit that acts as the acetyllysine mimic. 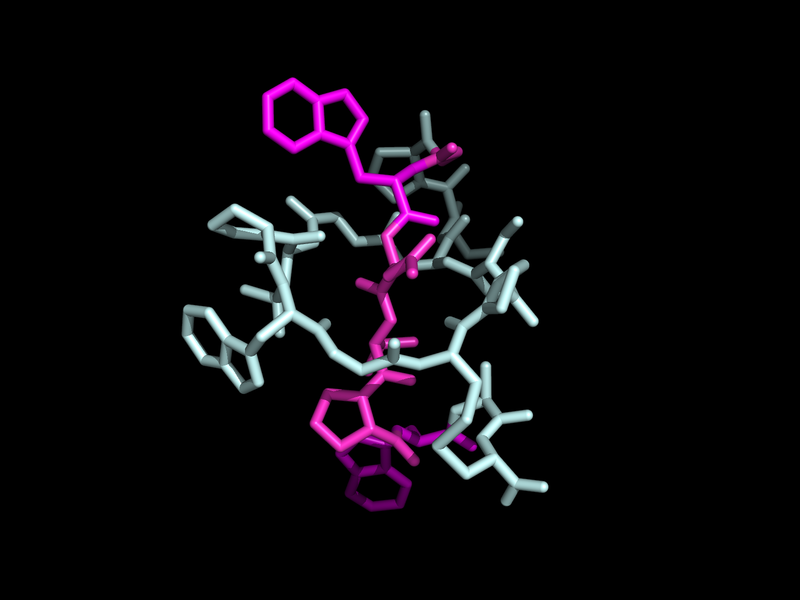 This is seen in the co-crystal structure, although I do not think it has been deposited into the pdb thus far. I am now off to London for a day. I’ve heard Natural History Museum has an interesting Darwin exhibit.